90% of consumers consult online reviews before making purchase. 84% of them trust them. A bump in one star on Yelp translates into an increase in profit of between 5 and 9% for your business. Companies that have positive star ratings in their Google Ads and in their Product Listing Ads get a CTR boost of up 17%. Online reviews are undoubtedly a good way through which you can boost your business’ online visibility. One of the things that most people do not realize is that reviews are actually a good way through which to improve a business’ SEO. Reviews tend to complement the content marketing efforts that you carry out as a business. Indeed, if you are big enough, like Amazon or some other big companies, you may find that the majority of the content that is generated online about your business comes from your customers. Local SEO is of particular importance for businesses, large and small. An example would be the owner of a chain of restaurants. 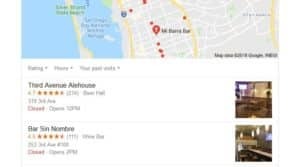 When people go to Google and make queries using such terms as “restaurant near me,” or “bar near me,” Google draws on the reviews that have been left across the internet to present relevant search results. It’s important, therefore, for you get to get listings on Google Maps, TripAdvisor and other platforms that support local listings. Indeed, your business’ viability may depend on your ability to get local listings. Today, people consult the internet even while on the go, and you cannot afford to be left behind as far as getting a listing is concerned. Star Rating extensions are a five star based system that is used by Search Engines to highlight the kind of reviews that a business or product has received from its customers. If you think those little stars are there simple for the show, then your business has been missing out. In fact, Google itself mentions that Star Ratings have the potential to boost the CTR in Google Ads and in Google PLAs by as much as 17%. 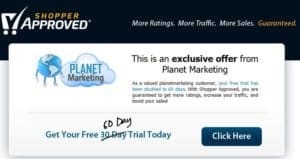 The thing that you need to note, however, as the owner of a large business, is that not all of the online review syndication companies that are out there are created equal. In fact, Google only licenses about a handful of companies to push the product and seller ratings that are used in star rating extensions. When it comes to the success of your business, you do need to acknowledge that customer reviews are not simply there for show. As a business person, you need to understand that reviews give you the ability to fully engage with your customers. That is the reason why you should make sure that you keep track of every mention of your brand that takes place across the internet. The need to do this is the reason why Online Reputation Management has become such big business over the past few years. So, how can you engage with your customers using online reviews? By quickly responding to their queries. Your business should also make sure that all the concerns that are raised by your customers are addressed. Doing this, you could even turn those dreaded negative reviews into a positive. By using the comments that are left by your customers as keywords for your content production. For big businesses, responding to customer feedback can be challenging. This is where Shopper Approved comes into the picture. It provides you with the tools that you need to automate the process of gathering and responding to online reviews. They give you the social proof that you need to convince people to buy your products and services. They help build trust between you and your customers. They help you improve your products. In order to achieve this aim, you actually need to listen to what your customers, as we have already been saying. With online reviews, you get the ability to maintain rapport with your customers, which is a good way through which you can maintain an ongoing relationship with your customers. So, what are you waiting for? Sign up with Shopper Approved now to start benefiting from the power of online reviews. Use our link today to get a 60 day absolutely free trial.